Adobe Muse and WordPress are two completely different products that target different audiences. They have one similar feature only – both services can be used to create websites. This is where all the differences end up. The platforms differ in types, web building approach and set of skills required for successful website development. Adobe Muse (see detailed review) is a desktop program that has both Windows and Mac OS versions. WordPress is a CMS, working with which becomes possible only through a browser after the program is set up to the hosting. Muse is provided the Adobe Creative Cloud subscription. WordPress is a free script you can download from the official website of the service. The systems support installation of updates (modules, plugins etc.) and templates. The ecosystem is well developed in both services as well. The web abounds in tutorials and user manuals on both instruments. Some of them are paid, but it’s possible to find free resources as well. Nothing is unusual here. Adobe Muse Options – if you need a simple website, take a look at another Adobe Muse alternatives. WordPress Options – if you want to create a website in a code-free manner, look at these WordPress alternatives. The comparison of systems, however, makes sense. It may initially help users identify the best platform to meet their particular web design requirements and preferences. At the same time, there is no need to select the best system here, because of the notable contrast between them. We will still try to summarize the benefits of the services and present the system, which is more interesting in general. Adobe Muse. Just like the rest of products provided by this developer, Muse is not that simple. This is a professional tool, which will be initially understandable to those users, who have already worked in Photoshop or Illustrator on the advanced level. It’s not a secret that all the Adobe programs have similar interface, which differs by the set of tools to fulfill the major task. Users, who are aware of the nuances of the interface, will easily master it, while the newbies will have to spend some time to use it properly. It’s not easy to understand the way it should be used without preliminary preparation. If you are a designer, you will feel comfortable here. To some extent, Muse resembles Photoshop, in which you are able to draw the website layouts. Fortunately, the product is already popular and you can find tons of tutorials online these days. You will need around a month to learn the system from scratch and explore the broad range of options it offers. However, you will be able to create a website in a few days of exploring the service. It’s worth mentioning, though, that Muse is not generally used to create simple websites. There are other systems meant for this purpose. Adobe Muse should be used by those of you, who wish to create powerful projects and have enough time to master the system. That is why, we underline that superficial exploration of the system will not be enough to realize the potential of this powerful software. In most cases, a month or so is required to reach the goal. Generally, it’s quite easy to get used to Muse. The interface seems complicated at first sight only. It is logically structured. Having explored all the nuances once, you won’t forget them. This is similar to riding a bicycle. The product is meant for regular use. It doesn’t make any sense to master Muse just to build a promo site. This is a prospective platform for web designers, who wish to get the revenue. WordPress. The interface of this system is quite simple. If you have ever worked with any CMS, you can master it in half an hour. If you are a novice, then you will need time to explore the nuances of the platform (just like with Muse). You will not go without watching the tutorials, reading the articles and experimenting a bit. It’s possible to learn everything on your own, of course, but this will take much more time. The major problem you will face when working with WordPress is the choice and installation of plugins. The system has the minimum set of out-of-the-box options that will be enough to build a blog or a simple promo website only. To avail extra functionality, you’ll need to install the plugins that are available online or in the brand WordPress store accessible from the dashboard. Each plugin is like a separate program, which has its own settings that can be both simple and complex. The more plugins you install, the more powerful WordPress becomes. Anyway, you won’t go without the minimum set of them. So, get ready to master the plugins when giving preference to this CMS. Adobe Muse vs WordPress. The use of both systems implies the availability of hosting. With Muse, you can work in the desktop mode saving the projects on the hard drive. You can upload them to the hosting afterwards. WordPress requires hosting right from the start. Otherwise, you won’t be able to use it. Consequently, you don’t need the Internet connection to work with Muse layouts. This is a notable benefit. When it comes to usability, the general complexity level is higher in WordPress. Adobe Muse is a more flexible software, which doesn’t require any extra extensions to work effectively. No coding skills are needed as well. What you’ll need is the skills of working with the interface and availability of web design skills. WordPress, in its turn, is more technologically advanced. It is a better choice for geeks and for users, who aim at creating blogs. 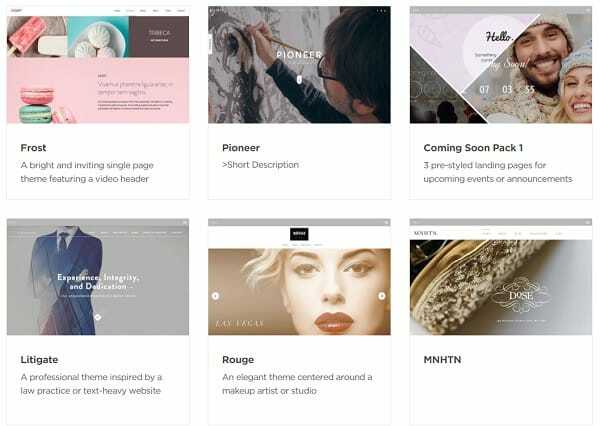 Muse is a great choice for web designers working on the development of client websites featuring individual design. Adobe Muse. The software is represented by the interface, where you can draw a website layout, insert images, texts, buttons, menus, add versatile effects etc. Having completed the project, you can save its code on your computer or upload it to the hosting through the incorporated FTP-channel right from the start. Muse effectively reveals itself when working on the development of landing pages, but you can also create promo websites and portfolios. Consequently, it allows creating small single- and multi-page websites with individual design. The peculiarity of the system is that you won’t have any online dashboard here. All the project changes should be made in the program, updating the page through the FTP afterwards. This is not that difficult, however. The principle remains the same observed when working with the browser dashboard, but when it comes to Muse, your control point will be found outside of the browser. The benefit is, though, that you will be able to save your projects on any cloud or upload it to the free hosting<?span>. This means that you can practice a lot without paying for the hosting and domain. It’s worth mentioning that you will be able to create responsive webpages and those that come with fixed width. Web promotion options are standard – meta-tags, titles, social networking buttons, sitemap.xml creation and Google Analytics setup to collect the statistics. You can also create small online stores with Muse – the system supports PayPal transactions by default. Extra widgets will contribute to the appealing look of the store fronts. However, we don’t recommend using this software to create eCommerce platforms for two simple reasons: you’ll have to do everything manually and there is no dynamic content update option. This is complicated and inconvenient. All in all, Muse options are enough to create impressive web page designs. Combined with Photoshop, the local editor contributes to the visual appeal of any project, irrespective of its complexity level. You just need to learn how to use it. WordPress. The system has a simple dashboard in stock, the complexity of which increases along with the need to install the plugins. The major purpose of the platform implies blog creation. In this respect, the functionality of the service is close to flawless. You’ll be able to add your first post in just a few minutes after hosting setup. You won’t go without the plugins, anyway. Webpage editor cannot be used even to create stock charts. This also requires a separate plugin. All you can do is to write and edit the text, add images and adjust them. Incorporated website promotion options are also standard. There are only two features that differ them from those in Muse, namely the robots.txt editing option and absence of the dashboard with social networking buttons (this also requires a plugin and social board service code insertion). Having installed the plugins, you can further use WordPress to create online stores, forums and even web portals. This, however, is complicated and inconvenient for a newbie. The system is not meant for completing such tasks by default. The plugins may conflict with each other, resulting in the problems with website performance, decrease of web page loading speed etc. The best solution is to use the service to build promo websites and blogs. Other tasks can be completed by experienced web developers only. Adobe Muse vs WordPress. Both systems can be used to create promo websites and landing pages. Each of them has its peculiarities and challenges. Muse implies the availability of web design skills, while WordPress has more technical requirements a user should be aware of, including coding, setup and installation nuances etc. All in all, WordPress options are broader due to the long list of plugins, but installation of many of them results in complicating and slowing down the performance of the system, potential faults and other related problems. CMS is built on PHP, while Muse websites use HTML5. It’s easier to edit the HTML code in case of necessity. Both systems can be used to develop client websites. 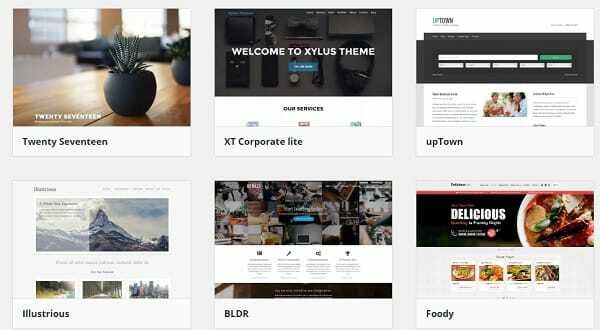 They are functionally advanced, but their power is revealed in different ways: WordPress offers a rich choice of plugins, while Muse ensures freedom when it comes to web design and opportunity to create unique projects. It’s up to you to decide what exactly you need. Adobe Muse. This software is basically an advanced graphic editor, which should be used to create website layouts. It is a nice choice to design templates from scratch (see muse examples). You can choose a web page size, mark it, add any elements you wish (signatures, buttons, tabs, text blocks, forms, menus, sliders, videos, effects etc.) and adjust them with regard to your needs. There are no limits here. Those of you, who have worked in Photoshop, will understand what we mean. Apart from creating individual designs, you can download any amount of them from the web. There are lots of layouts available there. Most of them are free. They can be used by the Muse newbies. This is how you will be able to understand the structure of templates and learn how to work with them. All in all, it’s better to create templates on your own. If you wish to become a web design pro, there is no sense to use readymade projects. Muse allows creating layouts of diverse complexity levels. The better you master its features, the more impressive the result and your profit will be. Those users, who are going to make money by creating stunning client websites, are bound to master this system. That’s why, you should focus on exploring all the Muse options. The result will come in due time. WordPress. CMS implies the use of readymade templates. It comes with an integrated store with several thousands of designs. You can install and use them absolutely for free. Many of them have nice appeal, but they are unfortunately not unique. Around half of WordPress templates have individual design dashboards. Backgrounds, fonts, positions of blocks and elements– these parameters can be modified by dragging the settings slider bar or choosing the options provided in the list. You can also edit the template codes, which differ from one template to another. CSS classes, combination of files etc. don’t have the only system. You should work with each template individually, which complicates and slows down the process. Generally, WordPress offers a rich selection of templates that differ in quality. You just need to adjust them with regard to your needs. When it comes to the stock variant, it makes sense to use the readymade designer samples offered for sale. Other templates are not unique. Those of them, which are downloaded from the web, often contain extra links and other unneeded clutter. You need to be careful when making the choice. Adobe Muse vs WordPress. Muse ranks higher than WordPress in terms of the template selection. Yes, you will need to adjust many settings manually, but isn’t that the sense of your work? The software has more advanced options, when it comes to creating and customizing templates as compared to CMS. You can create decent projects without any coding at all. The same opportunity is not available in WordPress, although, the assortment of readymade templates is really impressive there. However, do you and your clients need the designs that are used over and over again? Probably, not. Muse makes it possible to conveniently create individual templates to meet the requirements of each client project. Customers value such an approach and they are ready to pay you for a decent result. Adobe Muse. Adobe offers official technical support and informal support of the user community. Tutorials and manuals are easily available online. Generally, there are no problems with this software. You just need to master it to get the most out of its features. WordPress. The platform has an impressive community consisting of dozens of thousands of web designers. This is the most popular CMS in the world. Forums, niche-specific websites offering scripts, plugins, tutorials… The amount of materials is more than enough to meet the needs of web designers. There is no technical support here, because the system comes on a free basis. Adobe Muse vs WordPress. The difference between the systems is in the availability of technical support, which is offered by Muse. However, you will hardly use it because of the absence of problems and the availability of tutorials at the niche websites and web design communities. The same is about WordPress. Thus, there is no substantial difference between the systems in this respect. Adobe Muse. The program is included into the Creative Cloud package and is provided through the paid subscription. You can purchase the entire package or Muse separately. The yearly plan costs $179.88, while the monthly payment constitutes $14.99. The software also offers a monthly trial that allows testing the system absolutely for free. Speaking about the cost, we should also mention the domain and hosting expenses ($5-$10/mo and $12/year, respectively). Having purchased Muse, you can create an unlimited number of websites. ✓ Paid Themes (from $25). WordPress. The system can be downloaded for free. However, you will have to pay for the domains and hosting for the websites created. You can optionally get paid templates and plugins, pay web designers and programmers for the services provided. It’s not easy to calculate the final cost, considering the potential extra expenses. The system as it is implies paying for hosting and domain only. Adobe Muse vs WordPress. 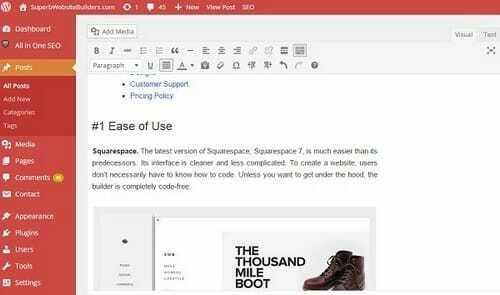 The basic WordPress version will cost you less, although, the additional cost of templates, plugins and other elements may exceed that of Muse. WordPress will appeal to web coders and users, who need a personal blog or a business website. Its out-of-the-box functionality is rather poor, but it can gain power after the installation of several dozens of plugins. 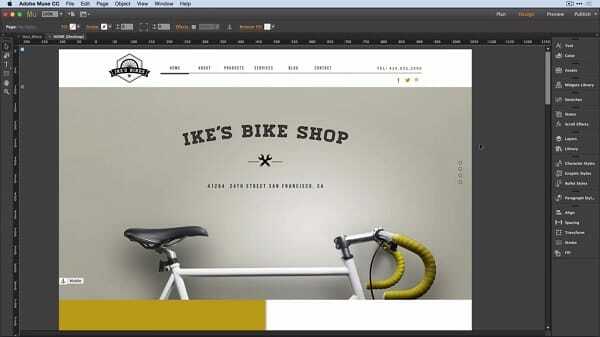 Adobe Muse is a more structured system developed for web designers. It is a perfect choice to create client websites as it makes it possible to effectively enhance the website design. Muse prevails over WordPress, because users don’t have to edit the codes when developing the projects here. You can easily go without plugins and your templates will have the same customization settings provided by the Muse editor. Master it once and create what you wish. WordPress changes its design with regard to the plugins installed. Each of these plugins is generally a separate program or function. Template design settings and their codes are not unified as well. You should explore their characteristics each time you work with them. All in all, Muse is a better choice for commercial use. By using it, you will be able to ensure the unique result, flexibly adjusting to the needs of your clients. Your profits will grow correspondingly. If you are not aware of the coding nuances and don’t wish to learn more about them, it’s better to give up the idea to use WordPress. Muse is more convenient and functional for those users, who aim at making money by creating websites. You can easily reveal your creative potential to surprise your clients. WordPress is a nice, but a bulky system. To use it effectively, you will have to learn a lot. We would recommend Muse to create custom made websites and landing pages.